Today we talk to our friend Lisa Leisy of Romantique Vintage. Her love for antiques and history started as a child and has blossomed from there. She loves to surround her home with history and a link to the past. 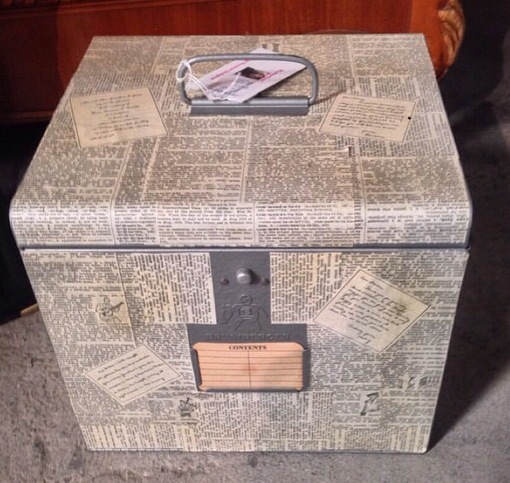 Like all good upcyclers, Lisa thinks outside of the box and her creativity is inspiring. We love her upcycled items and we think you will too. Learn more about her and her passion for upcycling with our Five Questions with an Artist. 1. Tell us your story. How did it all begin? First, I’ve been into antiques/vintage items since a child as I went to various antique markets/fleamarkets with my mom and various friends throughout my childhood. It has been a part of my nature to enjoy vintage items as it surrounds the home with history and your own creativeness to decorate a room with your own style. With the continuation of the love of vintage items, I decided to open my own etsy store almost 2 years ago when jobs were scarce living in small farming town, and needed to try to reinvent myself with ideas of fun. I went full steam ahead with it, and decided to sell retro clocks/globes, dishware, and also sold various retro styled blazers, dresses, and even dabbled a bit into vintage wedding dresses for weddings ahead. With the popular collected “theme” of maps and globes, it also reinvented my ideas, and knew that handmade items sold well in these times. Upcycling came along into this vintage business when things seemed to slow down a bit, and seemed needed to reinvent myself for a new world ahead. I remember going to a yard sale locally, and seeing an empty industrial piece that I had no idea what it’s purpose was, or what it may have been used for then. I saw the piece in a new light, and new creativity began to flow. Also with the popularity of maps, and globes, I saw various industrial pieces that I loved that I thought were too plain, and creativity began to flow as I saw them in a new light, and thought they needed sprucing up to make a home more decorative. An everyday vintage piece that may be sitting in a closet would be more fun to be used as part of decor on a desk than sitting in a garage collecting dust. 2. Where does your work come from? I have always been an artist of sort, and creating items comes easy to me, and takes little time. I always know ahead of time the look I want and it takes little time to create my inventions. In the past, I handmade cards for birthdays, or events for various family and friends because I was on a tight budget, and was having to be creative. Plus, it showed a personal side instead of being store bought. 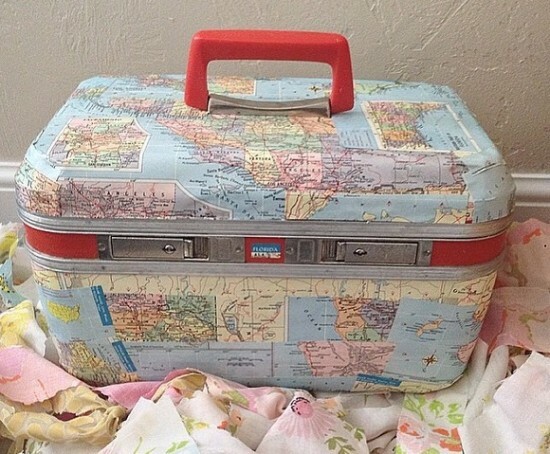 With the popularity of maps, and globes, this brought a new idea to me, and knew handmade items would sell fast, and would be more enjoyable than everyday items sold that people see often. I’m also an avid collector of old books, and people always love old books, and history of them. And, I’m also a musician, so old music is also another huge collectible of mine as part of musical history. These pages are history and people love to display history and it’s a win/win situation. I also wanted to be unique and show my creativity and try my hand at something new, so I decided that showcasing my love of history and creativity would be a win for all and be a fun environment to share with everyone. Second, is my love for lights I never knew I had until about the past year or so. So, with that, my invention and creativity of lights began. I have found various other industrial pieces to create new lighting ahead that has not been created yet, and am anxious to finish their work to showcase my items for buyers ahead. They are not your typical lamp lights, and will have a unique place in anyone’s home for decor for a bedroom, or main room. 3. What is your most unique/challenging aspect/rewarding aspect of your work or most unique piece you created upcycling? I think a small challenge I have in my work ahead is not having my own power tools, or how to use properly yet. There are some pieces ahead I may need to create holes or breaks in the items for my creations, and will have to learn and/or buy my own power tools ahead to create the right look I will need for a certain piece. 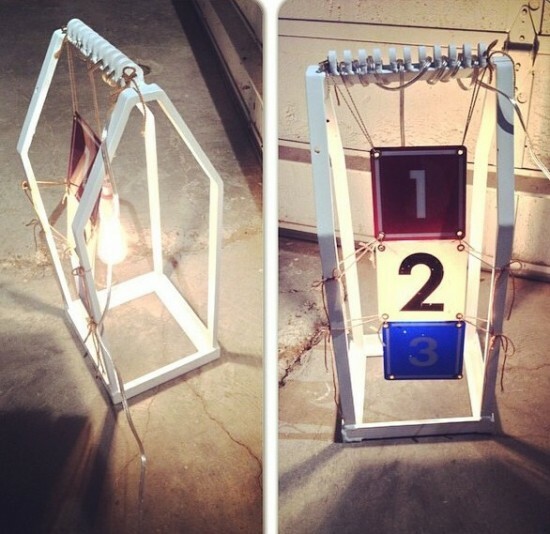 My most unique and fun piece I created was my light from a 2 foot industrial open piece I found at a yard sale in which I had and still have no idea it’s original purpose. I had bought these 3 square hard plastic numbers that had holes on all 4 sides and loved them, but never had a purpose, and sat until I had an idea for them ahead. I went to a yard sale, and saw this piece, and ideas started swirling in my head as theses 3 number pieces came to mind. I soon had to get a vintage bulb, and spray paint to quickly upcycle my “new” light I new would be a favorite piece to create. It took little time, and was a lot of fun! 4. Best places to find supplies and material? 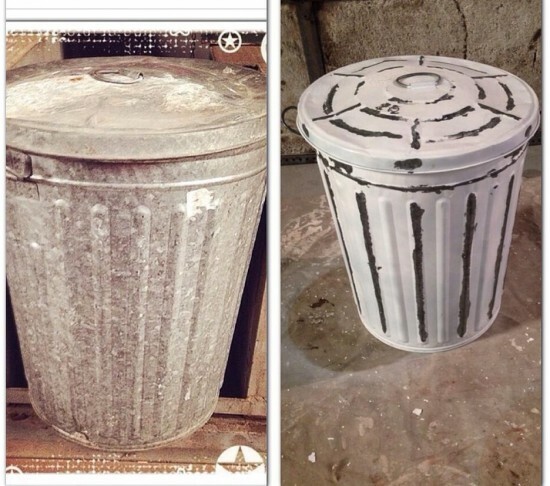 The best places to find any material to upcycle items could be right in your own home. There’s many pieces in one’s home that may be sitting in dust getting no use, and may have a new repurpose use for your own home, or a friend’s home. Look in your garages, storage sheds, in your own closets, bedrooms even. You never know what may be lurking that could come to new and fun use. Then, I always say to check out local thrift stores, and yard sales, and estate sales. Look at pieces around the stores, and yards, and don’t look at them with everyday eyes, but with new “vision” eyes, and start dreaming of pieces you would like them to be than the ordinary. It doesn’t have to cost a lot to create an item, and some of mine are dollars on one hand to create or maybe they may take a little bit more, but then you can sell them for more to be a part of someone else’s home. I do love the vintage light bulbs, and you can find them at local hardware stores, or online anywhere. They cost a little more, but in the end, make the look of the lights more vintage looking and fun. My advice is to search every thrift store, estate sale, and yard sale, and look at items that are used for everyday items in a new light, and throw all purposes out the window. Look at regular household/vintage items in a new way and begin your creative juices. Don’t let the ordinary be ordinary. Bring out who you are in everyday pieces, and spark new looks with items that may sit in storage, or have no purpose for them. Take these items, and bring new life to them, and new meaning to them. Someone will thank you, and love your own creativity that you put into an item and will show who you are, and what you can bring to the table in the handmade world. You want to shine, and you want to be showcase your own artistry. People will enjoy seeing who you are through these items, and will buy from you if you love what you do. You have to love and enjoy what you do for people to be excited as well. If you don’t care, or spend much time, it will reflect, and people will not be interested. Show that you care, and have a passion, and people will be just as excited as you are with each item.